Harris Corporation (NYSE:HRS) has named retired U.S. Army Major General Jeff Smith as the company's Vice President of Business Development, supporting the company’s strategic relationships with the U.S. Army, U.S. Special Operations Command and other key industry partners. 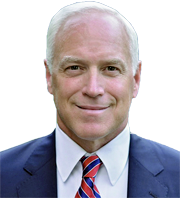 Harris Corporation's new Vice President of Business Development, retired U.S. Army General Jeff Smith. Smith brings more than 30 years of leadership experience, including serving as Deputy Commanding General of the XVIII Airborne Corp and command assignments with the 82nd Airborne, 101st Air Assault and 10th Mountain divisions, with deployments to Iraq, Afghanistan and Kosovo. Most recently, he was Senior Vice President, Strategic Initiatives at Sallyport Global Holdings Inc., where he led their strategy, business development and operations organizations. Harris has been a mission partner with the U.S. Army for nearly 60 years, providing technologies that enable the connected battlefield. The company has delivered over one million tactical radios to warfighters around the globe and is on the program of record for all major Army radio modernization initiatives. Harris provides advanced solutions for multi-domain command and control (C2); intelligence, surveillance and reconnaissance (ISR); strategic and tactical SATCOM communications; electronic warfare (EW); and space innovation that enable the Army to quickly adapt to changing or future needs. The company is building adaptable systems for the future that leverage open systems architecture and software-defined capabilities to ensure mission success, even in contested environments.